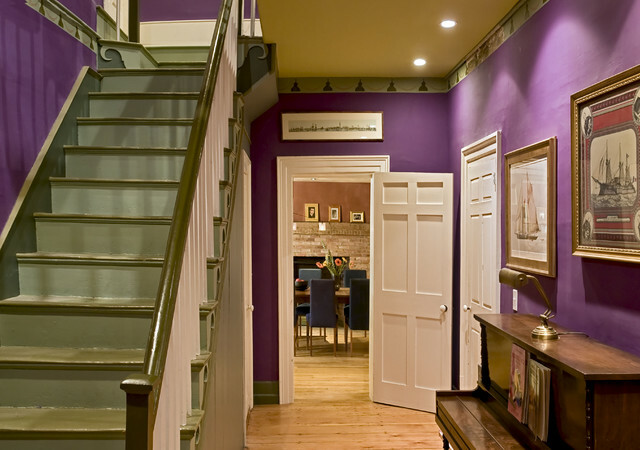 Editor’s note: The following item is republished with permission of houzz.com. See the original article: Yes, You Have Room For a Piano. Many of us live in small homes with minimal footprints. But as cozy as they are, they can begin to feel cramped and stifling. 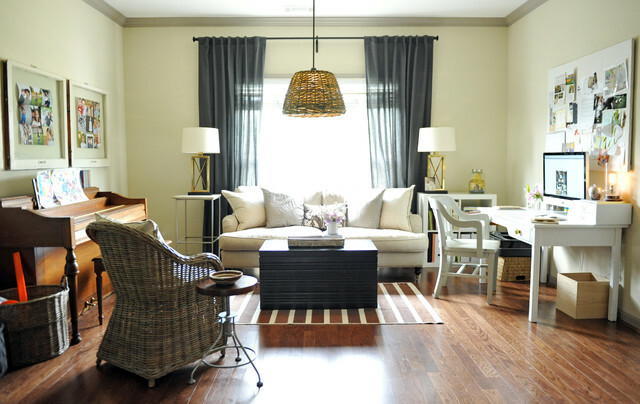 A large piece of furniture can overwhelm the space — sometimes it won’t even fit through the doorway. As a concert pianist, I had no room for a piano in my first few homes. The apartments were too small and didn’t have an entry point for a baby grand. I compromised and purchased a medium-size keyboard, but it still isn’t enough. If you’re in the same boat, do what I’ve done here: Seek inspiration from homeowners who have managed to create space for their favorite instrument. Gain ideas from their ingenious placement and color choices — perhaps you’ll find room for a beautiful piano in your home after all. Looking around your home with fresh eyes can often open up new opportunities — for example, a niche in your living room that’s currently filled with bookcases. Would you rather have shelves of books or an instrument to play? Here is an example of a piano that fits seamlessly into its surroundings. 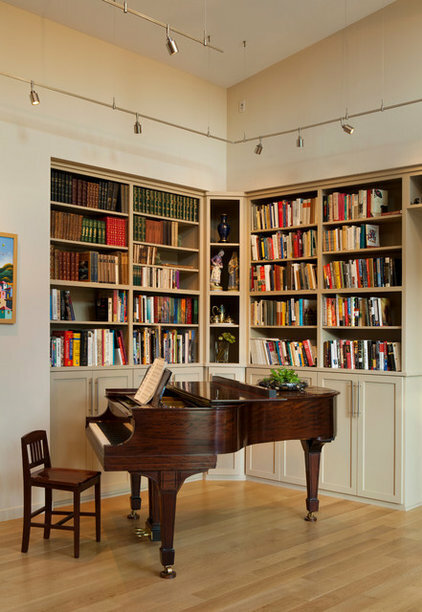 The white color plays off the sofa and painted ceiling, while the piano-size nook blends the instrument into the bookcases. Consider limiting yourself to one sofa in your family room and using the space for a piano that’s bound to enhance future gatherings. Do you have an empty corner in your home? A baby grand can fit perfectly into odd spaces. If you can’t find a nook or corner for the piano, you still have plenty of options. Spinet, console and upright pianos can be fairly narrow, depending on the style you chose. They can fit seamlessly into a room along a wall. If you are a piano-lover, it’s time to consider bringing the instrument back into your life. 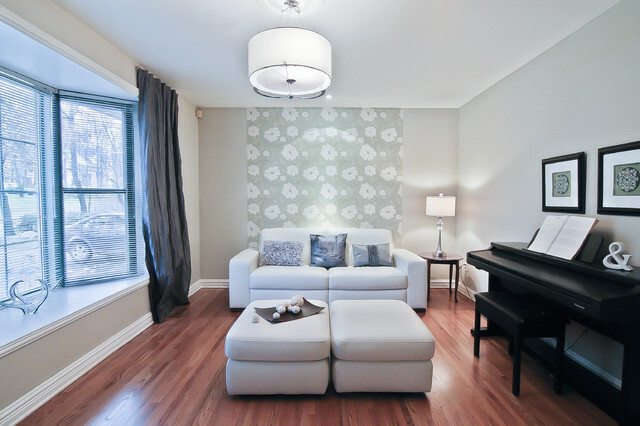 Think openly about your spaces and consider where a piano might nestle. With correct color choices and placement, you may be surprised at how well a new piano fits in.